The Society for Human Resources Management (SHRM) has said to replace one bad hire can cost up to 5X the annual salary of executives and top contributors. This means if you hire someone for $50,000/year, then making just one better hiring decision saves you $250,000. Does that sound high to you? Then conservatively, let's say the loss is 20% of that number. This still means every bad hire costs you $50,000, or about one year of their annual compensation (a lot of experts agree with this amount). But... how do you hire better people? How can you avoid a bad hire in the first place? You have to learn how. 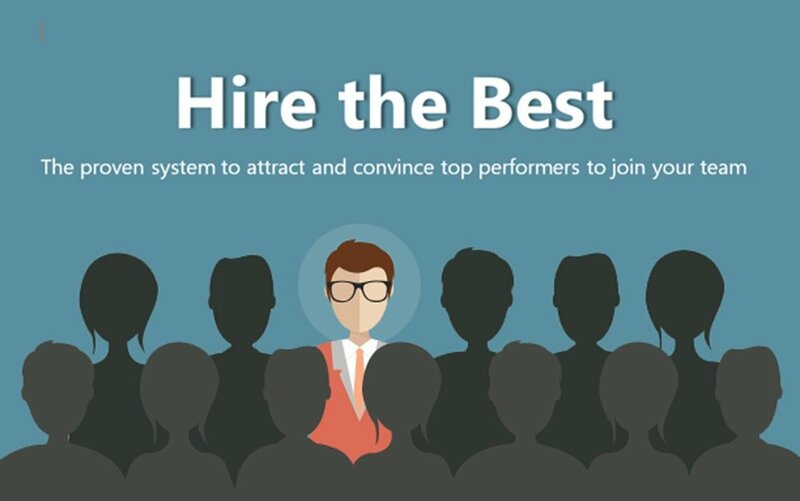 Join me 8am-noon on Wednesday, February 21st at Microsoft's Glen Allen offices near Richmond, Virginia for a 4-hour workshop on how to Hire The Best (and avoid the rest). In just 4 hours you will learn my most powerful hiring secrets I have proven over the past 45 years. Come and learn my Hire The Best system. How much is it worth to you to answer these questions better? ... Where can I find more candidates for my openings? ... What questions should I ask in a phone interview? ... How can I get the candidate talking outside their "hire me" script? ... What is the best way to interview someone? ... What homework should a candidate do between interviews? ... How can I discern a good from a great candidate? ... How can I confirm a candidate's true behaviors and motivators? ... How can I get candidates to choose my company vs. other job offers? ... What is the best way to get references to talk, and be honest? ... How can I get people to accept your offers, AND show-up their first day? I will answer your specific questions so you can hire better people. I guarantee your satisfaction, or we will return your workshop fee. The Harvard Business Review says 80% of employee turnover is due to bad hiring decisions. Can you really afford another bad hire? Don't wait. Register now, before we fill all 22 seats!